Have you traveled to and/or lived in Madagascar anytime in the last 20 years? Did you see domesticated, captive, or pet lemurs while you were there? I'd love to hear from you! Since January 2015, I have been collecting data - as part of a collaborative project with Melissa Schaefer at the University of Utah - on the pet trade of lemurs in Madagascar. 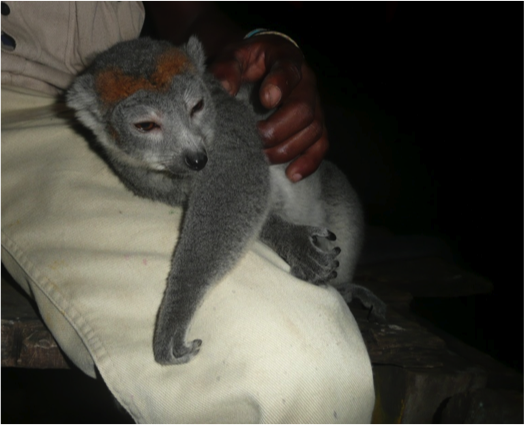 More information about the Survey: Pet Lemurs in Madagascar project can be found here! This project is funded in part by the National Geographic. Why are we interested in the pet trade of lemurs? The ownership of pet lemurs is occurring across Madagascar and over 28,000 individuals may be kept as pets in Malagasy cities every three years. However, not a lot is known about this phenomenon and we're trying to understand whether some species are more at risk than others. We're also interested in understanding why and how lemurs are being kept in captivity; I've published on this topic before and you can email me if you have questions about why I'm interested in this work. Participation in the project will take about five minutes. Questions? Contact me! Also check out the news coverage of this project as well!